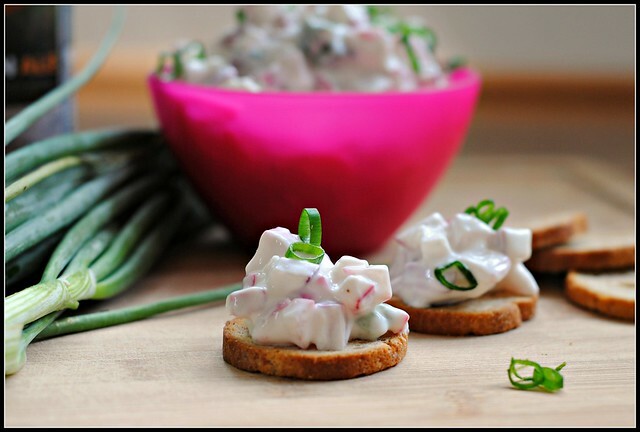 Creamy Radish Dip & Happy 4th! When the doorbell rang at 8:30 yesterday morning, I assumed it was the movers arriving for the final day of unpacking fun. But I was wrong – it was Karen from my CSA, Big Head Farm. The farm and CSA are run by TWO people, so Karen and I had exchanged several emails to get me set-up with my CSA delivery. As Lily demanded Karen’s attention by way of ear rubs, I was getting to know a bit more about Karen, the CSA, and how she does it all. I was overwhelmed with gratitude that for such a fair cost, I am having organic, local food delivered to my home by the grower herself. Um, cool. Karen was so kind in taking the few minutes to talk to me about her farming with a truck full of CSA deliveries on a hot summer morning…it meant a lot to me. I could quickly sense that the farm is BUSY and she shared that they just hired two helpers. She invited Lily and I out to the farm to check it out and without a doubt, we will! She said I can bring my camera, too. My first week’s delivery contained radishes. They were beautiful! Is there a veggie more beautiful than the beet or the radish? But, I am not wasn’t a huge fan of radishes, at least not a huge sack full. Probably because I didn’t know what to do with them. My dad grew radishes when I was growing up and I remember they got so overgrown and had prickley leaves and vines. My friends and I would cut them up and serve them with our “tea” when we were playing the little girl make believe games that we did. Since playing pretend “tea time” with Mr. Prevention wasn’t likely to fly, and I wanted something a bit more jazzed up than radishes + salt, so I started Googling. 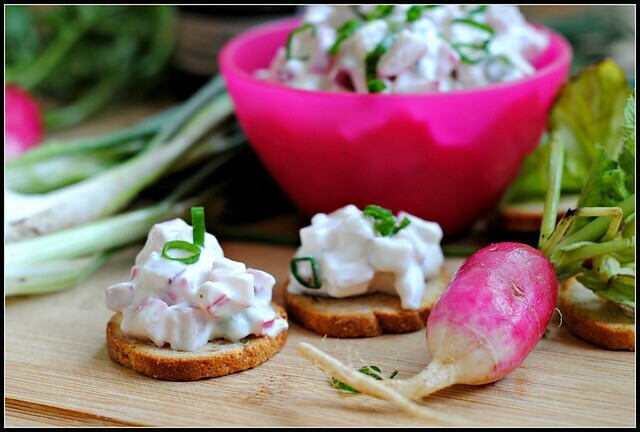 This recipe for Creamy Radish Dip popped up right away…and with rave reviews. I had all of the very basic ingredients on hand and got to chopping. This dip was ready in about 5 minutes and is best if served immediately (some of the water separates from the yogurt after sitting). I was amazed at how perfectly these flavors blended and how well the cool, tangy yogurt cooled down the heat fro the radishes. Mr. Prevention said he didn’t love the dip, but he liked it. I, however, LOVED it. In fact, I emailed Karen right away to tell her how good the recipe was so that she could share it in her weekly email to the other CSA recipients. 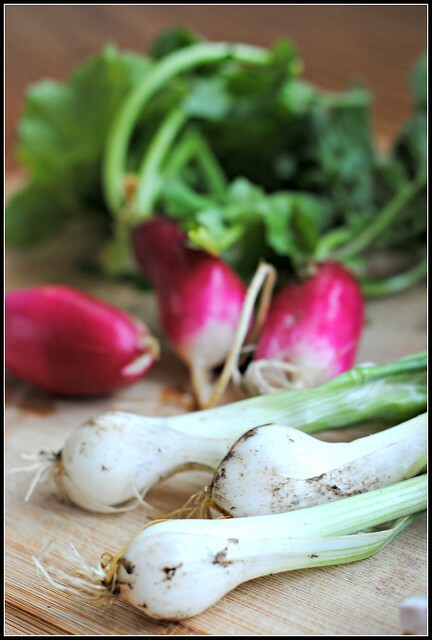 Radishes can be a bit tricky to get creative with, but I can’t wait to make this again. I think it would be great in wraps and on sandwiches, too! 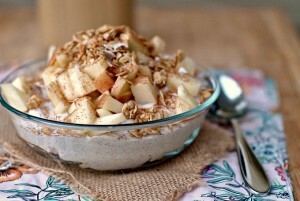 In a small bowl, combine the radishes, sour cream, onions and salt. Serve on crackers. Result: So good! Even if you are ALL of this dip…you’re looking at under 110 calories. And well-spent, healthy calories at that. Even if you don’t LOVE radishes, I’ll bet you enjoy this 🙂 I served with with some pita chips, but anything super crunchy is perfect! Enjoy! My parents and brother are due in in just a bit! I would say we are 90% unpacked and all that’s left is the little stuff, hanging pictures, etc. My kitchen is finally “workable” and I even cooked dinner last night! I also made brownies and prepped a lot for the parental visit. Kristen is coming in later tonight…it’s going to be fun! First up, breakfast and the beach! I’ve been looking for something to do with radishes! I’m not a fan of them but my csa delivery has been exploding with them every week. I’m so jealous of your csa! This looks great! Brian won’t let me participate in a csa… 🙁 so I’m going to live through you. I absolutely adore radishes! 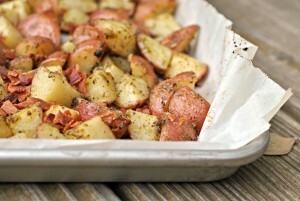 They are seriously the best veggie ever. So this dip is awesome! Trying it today! Jesse looooooves radishes! I need to make this for him! I don’t *love* radishes, but we had some in the fridge so I just threw this together and YUM! Thanks for sharing! It is so cool they do their own delivery! I like radish! But I usually just have it on a sandwich, dip is a new idea! I joined a CSA which is located just half a mile from my house. My plan was to walk over and pick up my portion every week – how green is that? So far though, I’ve just stopped by when out running other errands with a car. 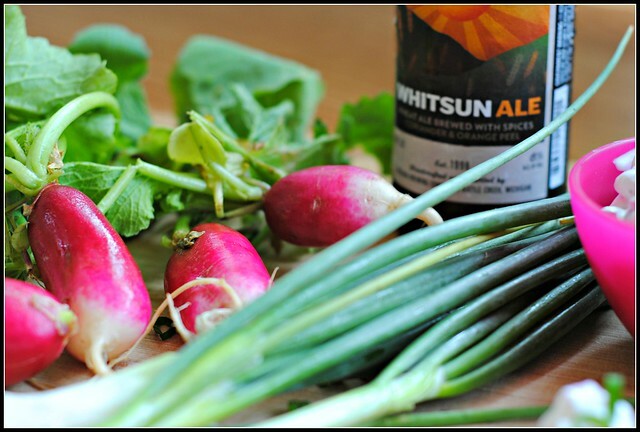 I am also overrun with radishes, and turnips, so I can ‘t wait to try this recipe. Thanks! Tried this and it was wonderful. I didn’t have a full cup of chopped radishes, so I added some chopped CSA-fresh cucumber too – just perfect for a poolside afternoon with an old friend. Loving your blog! Great layout, photos and recipes… the whole shabang! WOW! I can’t wait to hear about your visit to Karen’s farm. Congratulations on making the foodbuzz Top 9! 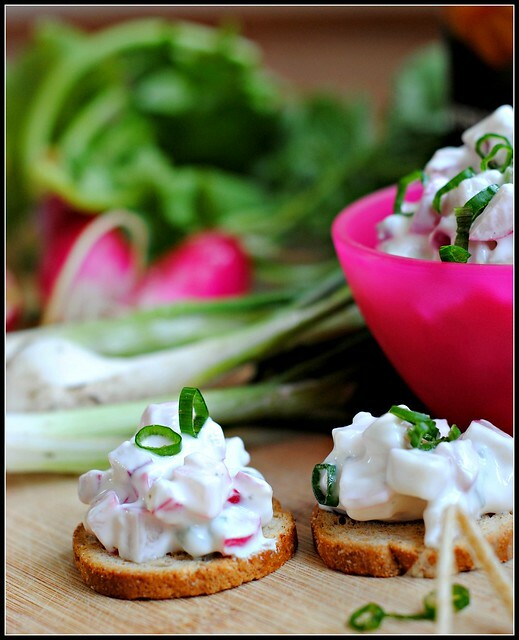 I’m so making this dip the next time I pick up some radishes at the farmer’s market! Though I might spice it up a bit with some paprika. Thanks and congrats on top 9!